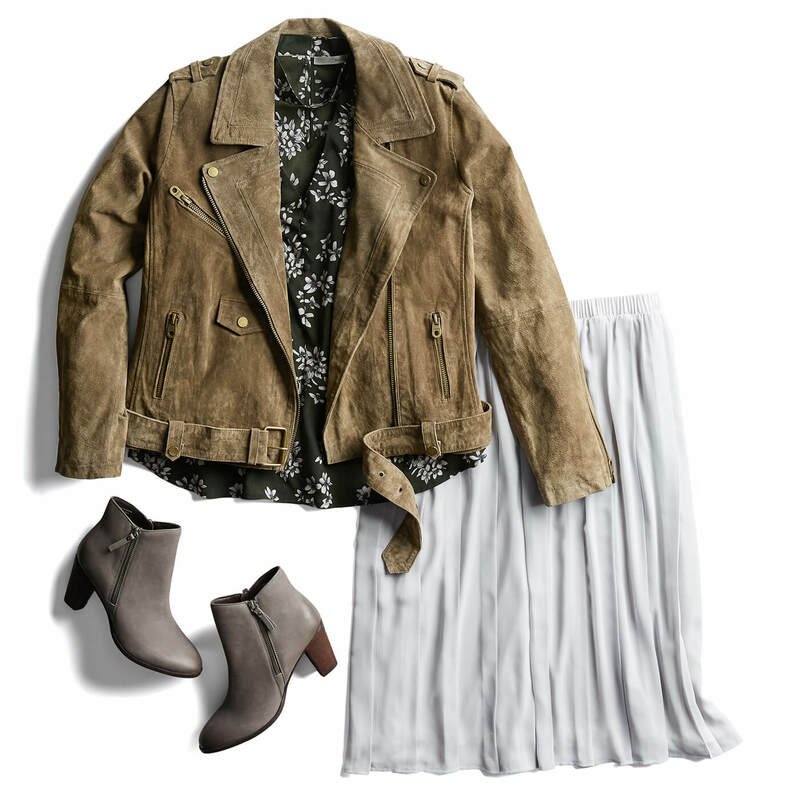 If your OOTD is frozen in neutrals and drab hues lately, try a winter reboot and add some peppy prints to your cold-weather essentials. Ditch the drab with the two must-haves on our list: dark florals and classic stripes. 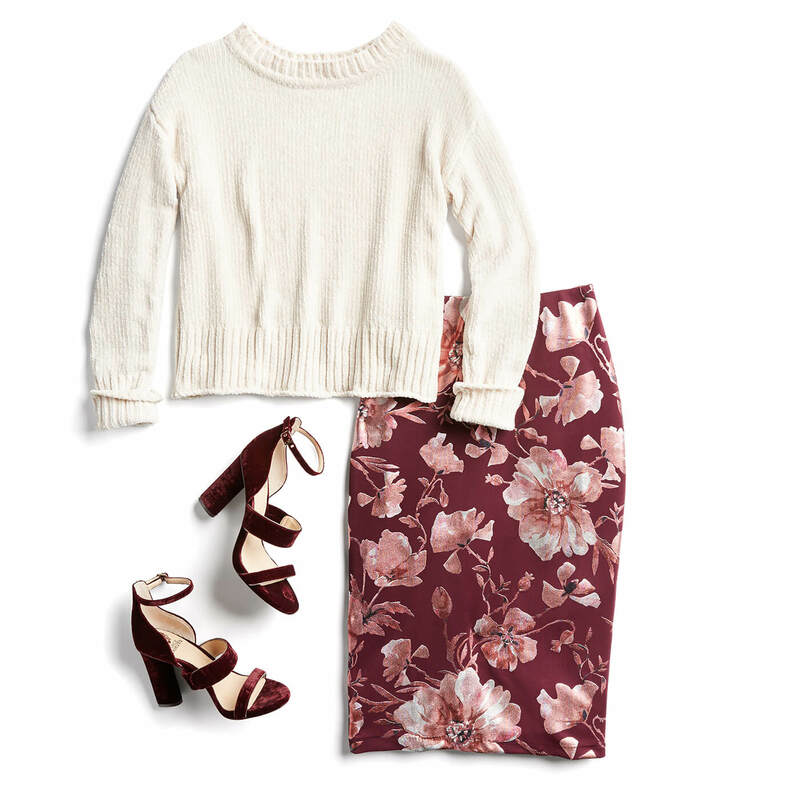 Daylight savings may be over, but we’re ready to spring forward with this season’s version of the flower print. Romantic blossoms in autumnal hues are an easy way to give yourself the gift of flowers when it’s cold and grey outside. Go head-to-toe with a printed maxi dress over a turtleneck, or become best buds with a fitted pencil skirt. Maybe you haven’t gotten the memo yet, but stripes are a major player on the style scene. (And yes, they can be worn by everybody) Plus, is there anything more timeless than a cozy sweater and colored denim combo for winter outdoor adventures? This print gives us all the feels, especially when remixed into a boho-meets-preppy cold shoulder top. Want to get in on this pattern play? Tell your Stylist that you’d like to try a print (or two) in your next box!